The Savic Refresh'r Cleaning Spray keeps your and your pet's home free from germs and bacteria. The long-lasting spray is effective against stains caused by sick, urine and faeces and is excellent for cleaning your cat litter tray, pet carrier or pet cage. Every household needs Savic! The tried-and-tested active ingredient Byotrol effectively fights bacteria and fungi, often a cause of unpleasant smells around the home. Unlike other products found on the market, Refresh'R kills 99.99% of harmful bacteria and viruses. 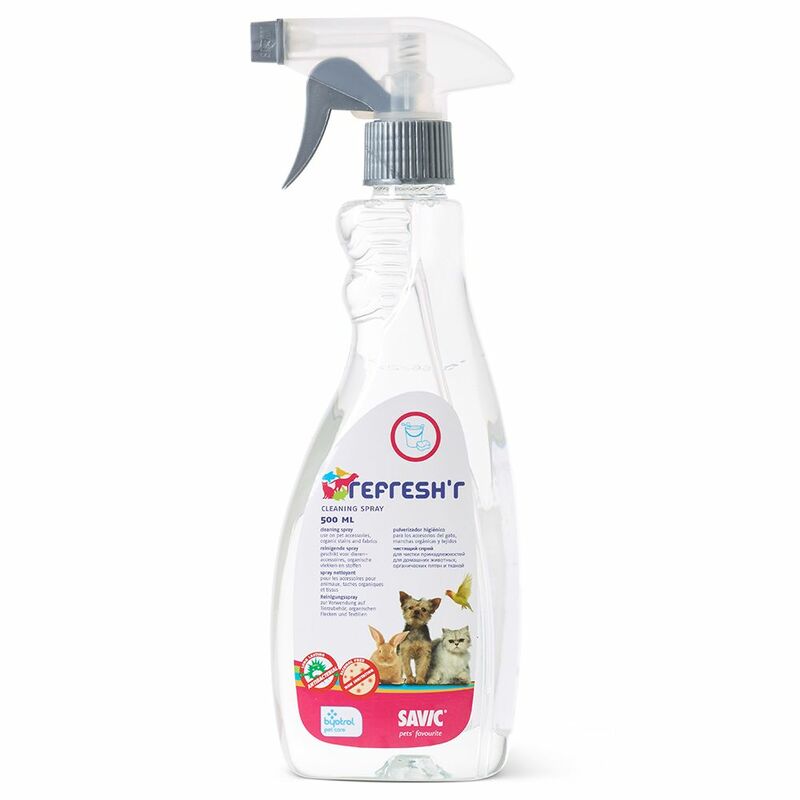 The benefits of Savic Refresh'r Cleaning Spray at a glance: Antibacterial cleaning spray to tackle stains from urine, stool and vomit on pet acceΒories and fabric Ideal for households with dogs, cats, small pets and birds Contains the antibacterial, antifungal agent, Byotrol Kills 99. 9% of germs, fungi, viruses and bacteria Effective cleaning that combats unpleasant odours Works for up to 7 days after use on hard surfaces Alcohol-free Non-toxic and environmentally friendly Fresh aroma Practical spray bottle Contents: 500ml.